EPW007893 ENGLAND (1922). 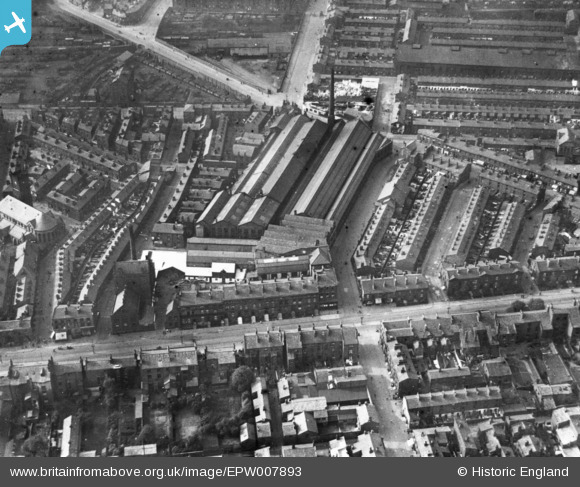 The Phoenix Safe Works and environs, Liverpool, 1922. This image has been produced from a print. Title [EPW007893] The Phoenix Safe Works and environs, Liverpool, 1922. This image has been produced from a print. Mersey Marble Works manufactured slabs for shop use as well as for monuments. Stephenson tunnel into Liverpool Crown Street station. Dates to 1829. Station opened 1830. Closed and likely demolished in 1836. St Nathaniel's Church, Dinorben St. This photo is in the Edge Hill/Windsor area of Liverpool looking approx. North. 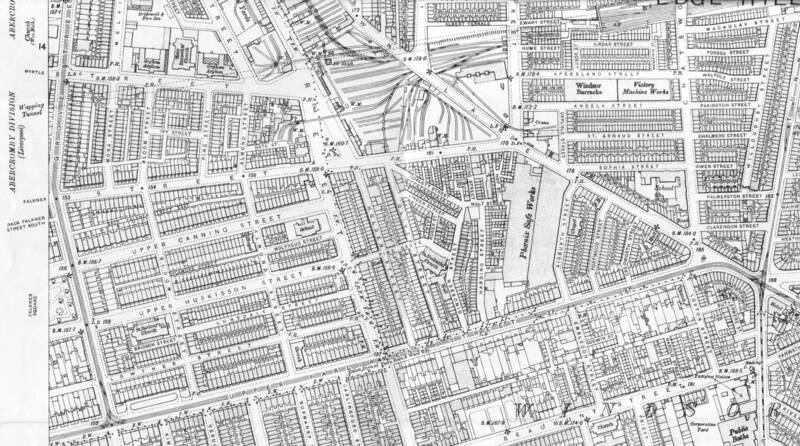 I have attached a 1905 OS Map of the area.